In early 1957, the Stanford Research Institute presented a study that a small single-stage sounding rocket would be very useful to measure winds at an altitude of up to 45 km (150000 ft) after nuclear tests to determine the spreading of radioactive fallout. The Office of Naval Research (ONR) and the Air Force Cambridge Research Center (AFCRC) concluded that such a system had a general utility as a high-altitude weather probing tool, and awarded Atlantic Research Corporation (ARC) a contract to develop this sounding rocket in January 1958. 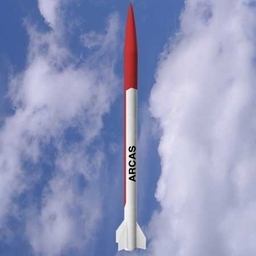 ARC designed the Arcas rocket, the first of which was ready for flight tests in late 1958. By the end of 1960, more than 400 Arcas rockets had been launched.